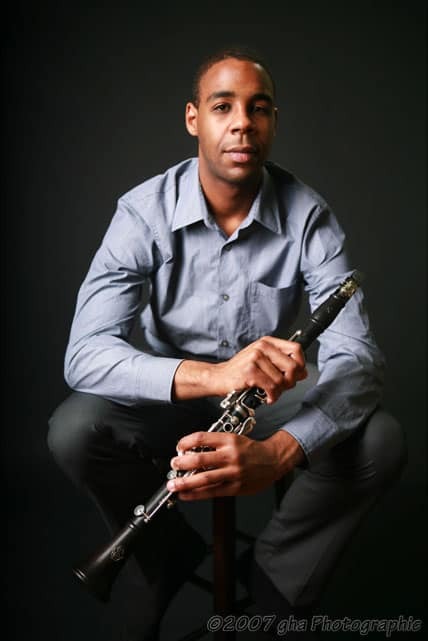 W&L department of music presents Shawn Earle’s faculty recital concert, “The Cross-Cultural Clarinet” on Feb. 11 at 3 p.m. in Wilson Concert Hall in the Lenfest Center for Performing Arts. Tickets are not required. While the clarinet is best known for playing Western classical music, it also is versatile in its ability to replicate different tonalities and timbres. “The Cross-Cultural Clarinet” is a concert of contemporary works for the solo clarinet that explores the versatility of the clarinet through works imitating music from various cultures including the Japanese Shakuhachi flute, South Asian Indian Raga, East African guitar the Nyatiti, Balinese music and Hindewhu—a Pygmy whistle song. In addition to teaching at W&L, Earle is an assistant professor of clarinet at the University of Virginia and is principal clarinetist of the Charlottesville Symphony. He also performs regularly as a soloist and chamber musician. Earle’s current research examines the intersection of extended techniques of the clarinet and how they can be employed to imitate the music on non-Western cultures and the cross-culture learning that takes places in creating a respectful interpretation.